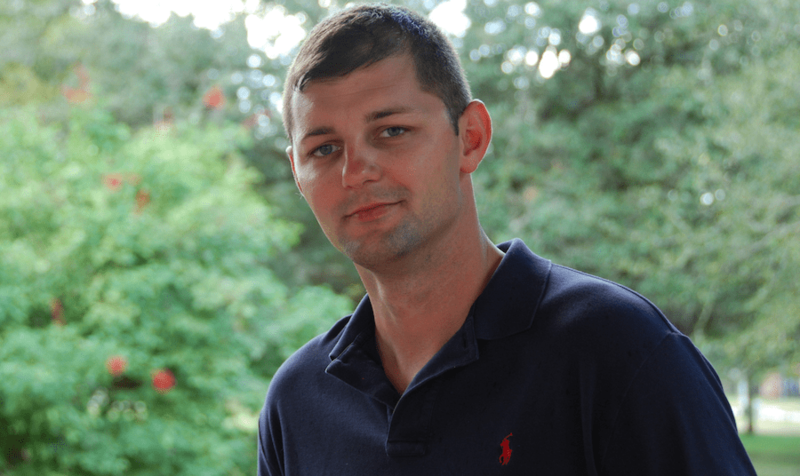 Justin DeWitt, an openly-gay, blue-collar worker in Louisiana decided in December 2017 that he would run for Louisiana’s 6th Congressional District. DeWitt knew he was facing an uphill battle in the predominantly red district that features an R+19 Republican advantage but none-the-less he faced off with Republican Garret Graves. Shortly after the November 6 election ended DeWitt conceded his loss and prepared to return to work. Justin, despite running his campaign, only took eight approved vacation days off from work, ensuring his campaign wouldn’t interfere with his day-to-day activities on the job as a surveyor for SJB Group, a company he has worked for since 2014. Justin told Hill Reporter that shortly after he announced his run in December 2017, his former boss, Wilfred Barry, called him into the office and said several employees had complained about Justin talking politics. “I understood and ceased talking about it,” Justin says. No further complaints were filed against Justin and he continued his work with the company. “October 26th I began my time off (vacation days) for the election. I took off 8 days. Thursday was to be my first day back. On Thursday morning I received a call from my employer. He claimed they were “downsizing” and I was to be let go. I was the longest employed survey crew foreman at the company,” Justin told us. I asked Justin about his own no call, no show history and he said during his employment with SJB Group he didn’t have a single instance of no call, no show. When Hill Reporter attempted to check SJB Group’s Facebook page we found it was no longer operating. “It seems to have been taken down the day after I posted on FB about my termination,” Justin said about the company’s Facebook page. When a local news affiliate asked about DeWitt’s termination, Mr. Barry said they would not discuss the reasons he was fired because of employment laws regarding confidentiality. I asked Justin what he believed may have played a factor in his former employer’s decision to terminate him after glowing job performance reviews, raises, and four years of solid performance. “[Graves] used to run the Coastal Protection and Restoration Authority here in LA. He was appointed by Bobby Jindal, a good friend and recipient of campaign contributions from his father. When Graves ran the CPRA he gave MANY contracts for projects to his father’s engineering firm,” DeWitt says. “This year, Graves ran on his achievements securing federal funding for infrastructure projects in our district, mostly highway money. My former employer is one of the biggest recipients for DOTD projects in the state of Louisiana (emphasis our). In the near future, they will bid on many projects Graves has claimed he secured funding for. Can’t help but to feel that’s suspicious. Because DeWitt’s employer will not openly discuss the reason for his termination, we may never know the true reason for terminating an employee who was just given a pay raise for excellent performance.